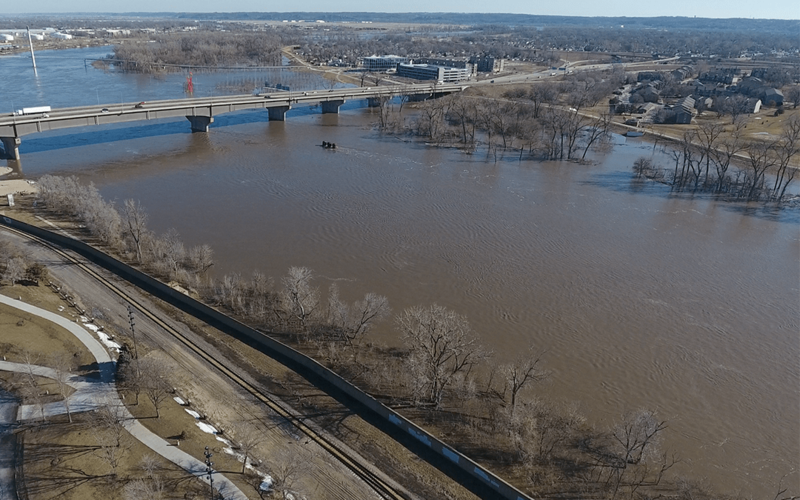 Historic flooding that began in Nebraska and Iowa mid-March, and now includes Northern Missouri, has caused unprecedented damage throughout cities, towns, suburbs and agricultural hubs across the middle U.S. While the March 21 approval of Federal aid to Nebraska (where 77 of the state’s 93 counties were impacted by spring floods), will bring some relief, recovery efforts in Nebraska and Iowa have been bolstered by a host of resources* available to those most impacted by the storms. Nebraska Emergency Management Agency – Flooding, How Do I Stay Safe? Disaster Preparedness Guide: Is Your Business Ready for Anything? Disaster Recovery: A Guide to SBA’s Disaster Assistance Programs – This self-paced guide is designed to provide an overview of SBA’s assistance programs, resources, tips, and regulations. Prepare for and Recover from Emergencies – Steps, checklists, and links for all kinds of emergencies. Protecting Your Business – Information on mitigation and insurance programs through FEMA. *List may not be all-inclusive and is not considered an endorsement. Contact your attorney and tax provider for disaster-recovery assistance.